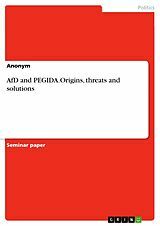 Seminar paper from the year 2015 in the subject English Language and Literature Studies - Linguistics, grade: 1,3, University of Cologne (Englisches Seminar I), course: Linguistic Categorization, language: English, abstract: The purpose of this paper is to provide some evidence for the existence of prototype categories in grammar, and to demonstrate that prototypicality does apply to this level of language. To complete this task, three grammatical categories, namely words, affixes, and clitics will be closely examined and analysed. First, it will be attempted to define these categories as well as to suggest the criteria for category membership. Then, these categories will be compared and contrasted, and it is not until this comparison that their prototypical nature can reveal itself and becomes evident. It is hard to find a discipline which would not be concerned with the notions of category and categorisation in some ways. These issues are of particular interest for psychology, philosophy, and linguistics. These sciences treat these subjects differently, but for all of them they have long been a major focus of a number of their investigations. The notion of category is closely connected with the name of the Greek philosopher Aristotle. His conceptualisation of category, being defined in terms of necessary and sufficient criteria, which has clear-cut boundaries and members with an equal membership status, has been valid and relevant for the most part of the 20th century. The emergence of cognitive science in 1970 made it necessary to reassess the Aristotelian definition of category. 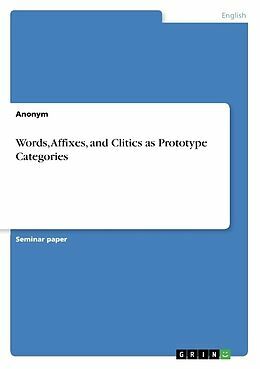 Plenty of research held at that time showed that not all categories conformed to the classical theory of categorisation, but that there are also those with a prototype structure. The boundaries of these categories are not clear but fuzzy, and their members do not all have an equal status.